I recently had the honor to take part in a very different kind of blog trip with King Arthur Flour on their #BakeForGood Tour. 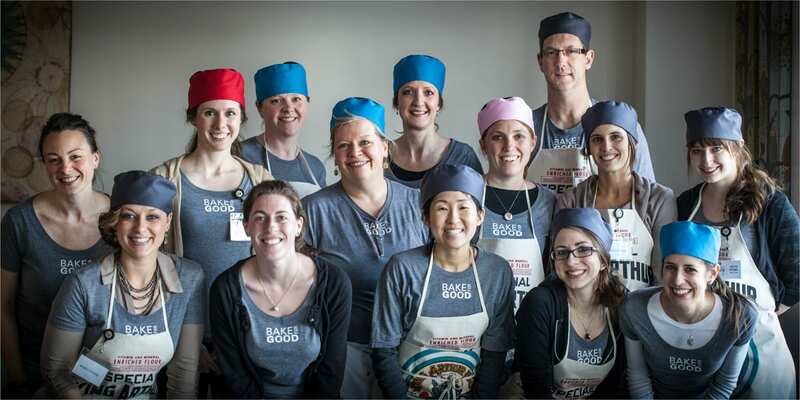 This well respected baking company, from across the country in Vermont, came to Minneapolis to bake and teach and serve with food bloggers from the Midwest. 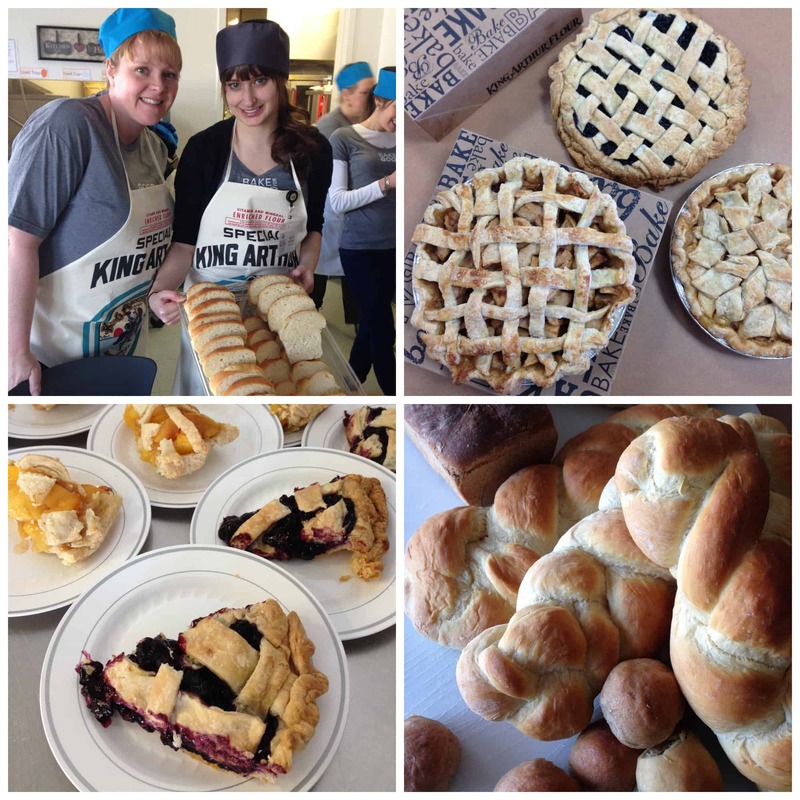 Together, we took part in hands-on baking sessions, learning how to create pies and yeast breads. 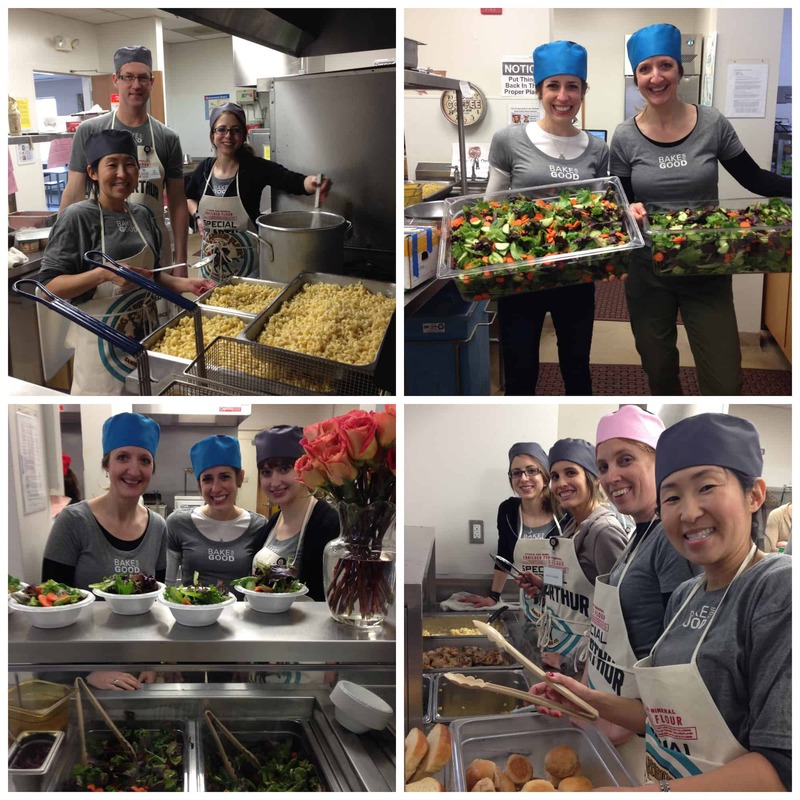 Then we served our creations, along with a full meal that we prepared, to homeless families at a local Family Service Center. It was such a wonderful and rewarding experience. Were you following along on Instagram? Just search the hashtags #BakeForGood and #BakeForGoodTour (the hashtag I used) for photos from our time together. 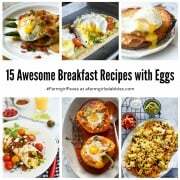 Also read to the end of this post, after the recipe, for a recap with photos. As we parted ways, we were encouraged to continue with our own #BakeForGood efforts at home, sharing our baking with those in need. “In need” can mean many different things. Someone may be hungry, lonely, mourning, ill, struggling with a job loss, or overwhelmed with a new baby. Everywhere, all around us, every single day, there are people who could use a little love. I crafted these Apple Blackberry Tarts a few days ago to not only feature the pie pastry and apple filling that we created during our pie baking session with King Arthur, but also to #BakeForGood. This is not a new concept for our family, as we already share our baked goods and fresh garden produce with friends, family, and neighbors. But I knew exactly who was going to be receiving one of these tarts as I was rolling out the dough. An elderly man who lives across the street, who lost his wife a few months ago. We had connected in February when the girls and I took him a plate of homemade Valentine’s Day treats, and he’s been heavily on my mind and heart ever since. I knew it was time to reconnect. With a warm-from-the-oven homemade apple blackberry tart. The secret to the intensified apple deliciousness in this out-of-season pie is boiled cider. I was introduced to this wonder-drug-for-baking while making apple pies with King Arthur. 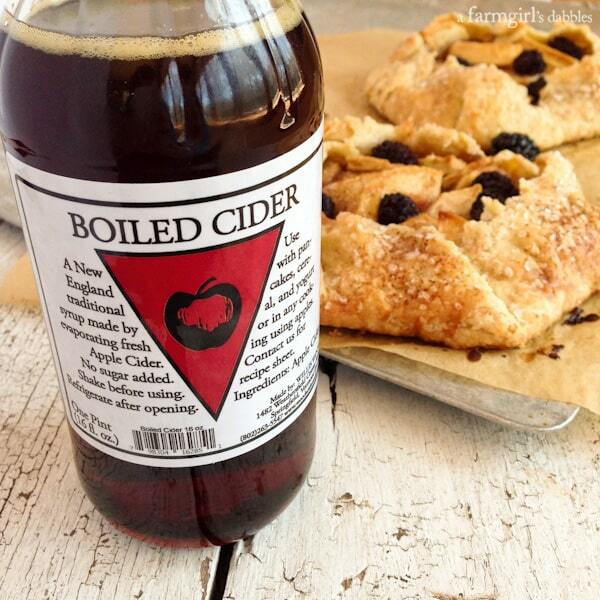 The only ingredient in this bottle is apple cider, reduced and thickened and sweet and yummy. Perfect for boosting the apple flavor in any of your baked goods, or simply drizzling over your bowl of yogurt and granola. You could win a bottle of it…just read to the end of this post for giveaway details. 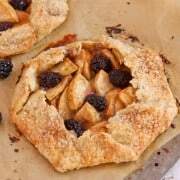 These apple blackberry tarts make great use of the pastry and apple filling recipes used in our pies that we served to homeless families last week. Much more rustic, though, these pastries are free-formed on a flat baking pan and smaller in size. 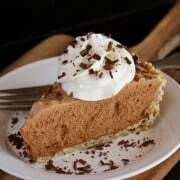 The crust is ultra flaky, crammed with butter to yield layers of crispiness. And the filling is wonderfully apple-y, enhanced with boiled cider. I added blackberries just because, and it turned out to be something I’ll definitely repeat. This recipe yields four individual tarts comprised of two to three servings each. Perfect for delivering one or two to someone in need. #BakeForGood. In a medium mixing bowl, combine flour and salt. Cut half the chilled butter into smaller pieces, about 1/2″ to 1″ in size. Then cut this butter into the flour mixture using a rigid pastry blender or your fingers. Work quickly to incorporate and achieve pea size pieces. Then cut the remaining butter into 1/2″ to 1″ pieces and add to the flour/butter mixture. This time use only your fingers to quickly flatten the new butter pieces into chunks the size of your thumbnail. You want to leave these pieces larger than you think you should. Again, work quickly to keep the butter cold. Sprinkle about 3 tablespoons of the ice water over the flour/butter mixture and mix just until the dough begins to mass. You may need to add the additional ice water for this to occur, a tablespoon at a time. The day’s humidity will play a part in how much water you will need…a dry day will require more water. I ended up using the whole 1/2 cup of water, plus just a bit more, for these tarts. Remove the dough mass to a large piece of parchment paper and divide into 4 equal portions. Press each portion into flattened rounds about 4″ in diameter and 1/2″ thick. Wrap each disk tightly in plastic wrap and chill for 30 minutes in the refrigerator. Now turn your oven on to preheat to 375°. Remove one dough disk from the refrigerator and place on a large square of parchment paper that has been dusted lightly with flour. Lightly flour top of dough disk and top with another large square of parchment paper. Roll the dough from the center out, taking care to not let the outer edges get too thin. Roll into an 8″ to 9″ circle. Transfer to a baking sheet lined with parchment paper. Repeat with remaining dough disks until you have 2 dough circles on each of 2 baking sheets. While the dough disks are chilling in the refrigerator, peel, core, and slice apples and place them in a medium bowl. Sprinkle the sugar, brown sugar, cinnamon, nutmeg, cardamom, and salt over the apples. Toss lightly to completely coat. Then drizzle boiled cider over the apples and toss again. Right before adding this filling to the pastry circles give the apples a good stir to incorporate accumulated juices evenly. Divide apple mixture evenly between the 4 pastry circles, leaving an inch or 2 of bare dough around the perimeter of each circle. Fold up dough edges, bringing them toward the center of the tarts, gently crimping the dough at each fold. Dot the apple mixture with the butter. 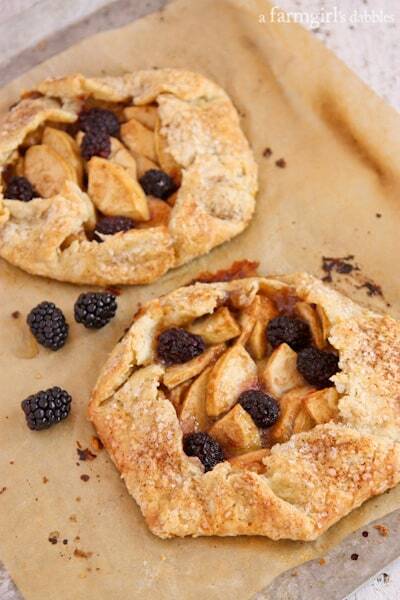 Tuck the blackberries into the apple mixture, 5 to 6 blackberries per tart. With a small pastry brush, brush half and half lightly onto the dough. Sprinkle with course sugar and cinnamon. Place pans in 375° oven and bake for 45 to 50 minutes, until filling is bubbling and pastry is beautifully browned. You may want to place a large rimmed pan or piece of foil on the rack below the rack where the tarts are, as juices from the filling may leak. Traditional pie pastry and apple pie filling adapted from King Arthur Flour. 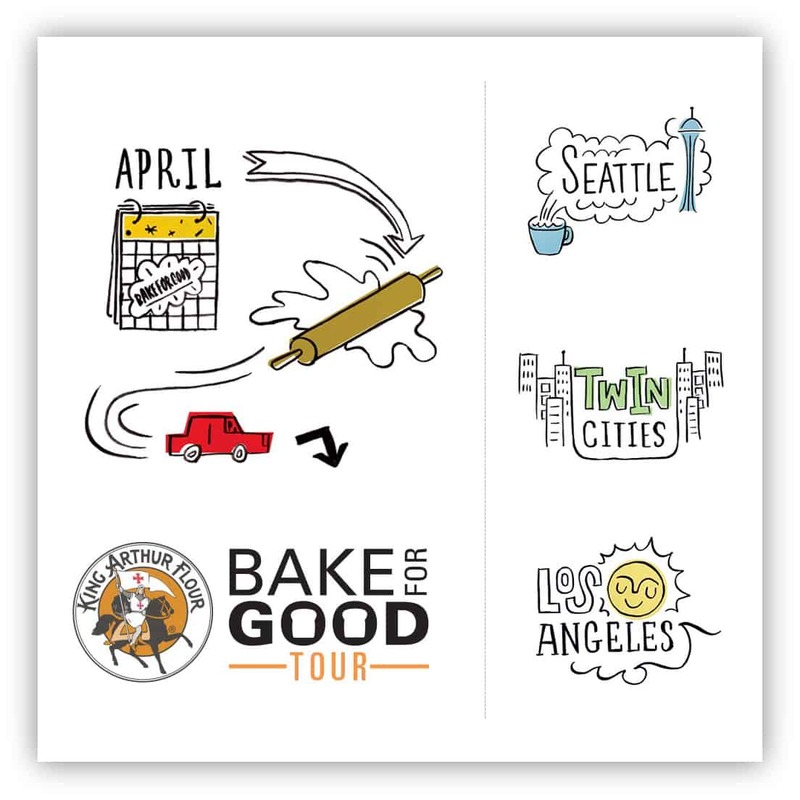 Minneapolis was the second stop on King Arthur Flour’s 3-city #BakeForGood Tour. Known for their high quality flours and other products, King Arthur Flour is also a respected voice when it comes to the art of baking. 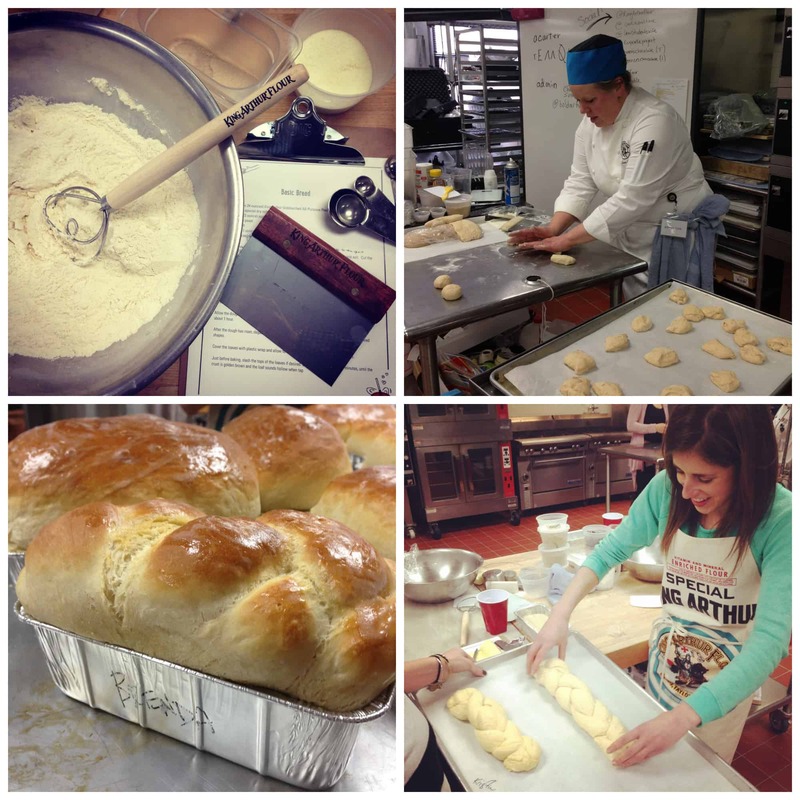 Their Baking Education Center classes and cookbooks are coveted tools for anyone who likes to play in the kitchen. To see what we did in Minneapolis, search the hashtags #BakeForGood and #BakeForGoodTour on Instagram for photos from our time together. Chef Susan (upper right), from King Arthur, started us off with pie baking here in Minnesota. She has an amazing amount of experience in the food world and kept us highly entertained. She was a hoot. And Amanda impressed us once again with her creativity, baking up a very special #BakeForGood pie (upper left). Then we moved on to yeast breads, again under Chef Susan’s tutelage. There’s something so wonderfully soothing about making a loaf of fresh homemade bread. And then eating it warm from the oven, with a schmear of butter. It really is priceless. I must do this more often! The following day we prepared a full meal to serve with our homemade breads and pies. Fresh salad, macaroni and cheese from scratch, veggies, baked chicken…we made it all. And then we served this meal to local homeless families living temporarily at the Family Service Center. Our teamwork came together beautifully. The whole experience, I’ll never forget. After serving this meal at the Family Service Center, we had the opportunity to sit and chat with one of their volunteer services specialists. From poverty to human trafficking, and everything in between, Catholic Charities provides a multitude of services for those in need. To learn more about Catholic Charities and their Family Service Centers, find more information here. Disclosure: Thank you to King Arthur Flour for inviting me to bake and serve with you in Minnesota. My trip lodging and meals were paid for, but I was not compensated to write this recap. All opinions are my own. Oh, sweet memories! :) I’m so glad I got to meet you in Minneapolis, Brenda. That was such a fun and rewarding weekend. This tart looks so delicious. P.s. I still owe you a handstand. That looks like it was such a great experience, Brenda. 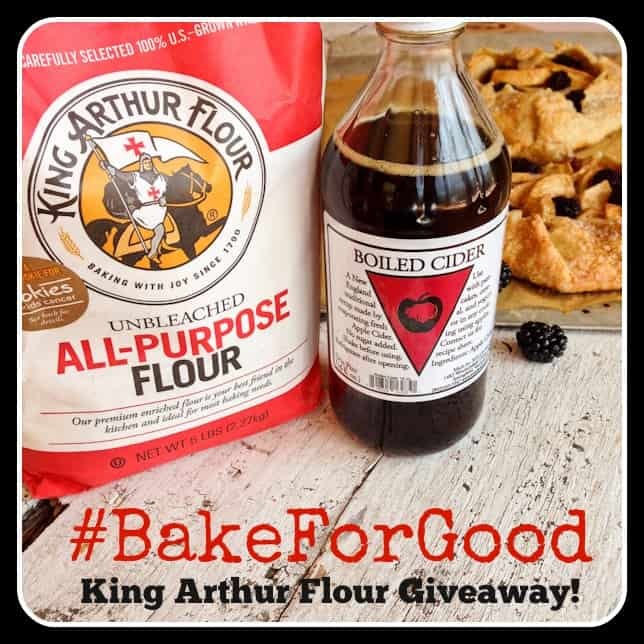 I love King Arthur Flour and I love what they do! Oh, and I want your tarts. Please. 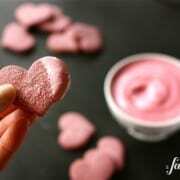 Such a fantastic dessert, so delicious! I too fell in love with that boiled cider at our Seattle Bake for Good event. I simply cannot believe I’d never heard of it before. What an excellent way to put it to use! So fun to see all your great pics. What a weekend! Your tarts are beautiful, and for such a great cause! I love this idea for working with a brand. Smart thinking KAF. 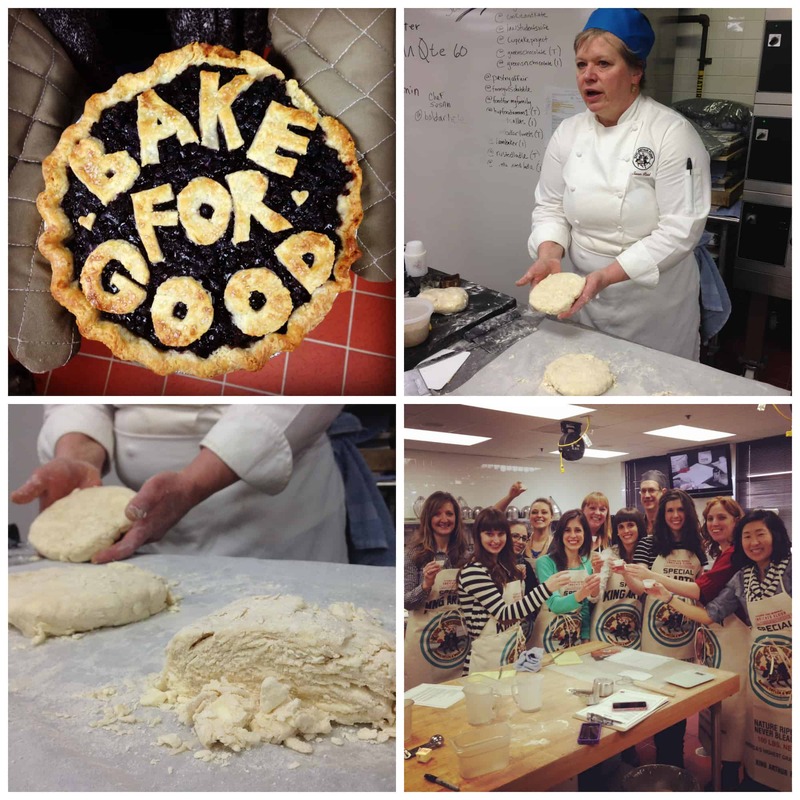 The Bake for Good tour looked like a blast! 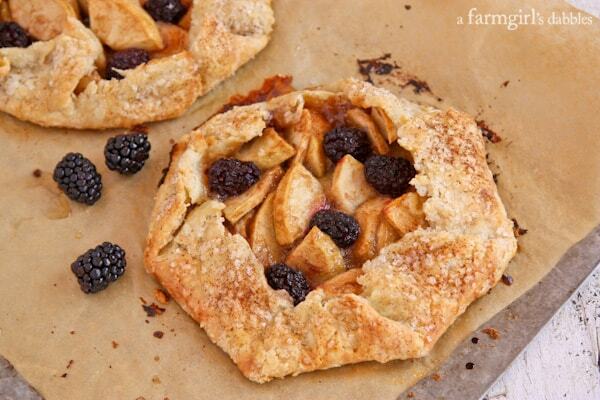 And I love these tarts, blackberry and apple is a winning combination! WOW…what a wonderful trip and trip for helping others! LOVE it. And the tarts look wonderful! Looks like so much fun and those tarts! Swoon. looks like a fabulous experience with King Arthur :) Loving this tart and that boiled cider sounds fantastic! Wow what an experience. Truly wonderful. Look at the people you all made extra happy with a yummy treat. Bringing up the positive vibration of the world one small step at a time. It all adds up! Now the tart itself—OMG luscious!!! Aww, looks like so much fun. And what a great recipe, Brenda! Happy Easter week! Yum!! Loving the apple-blackberry combo. Love this! These tarts are gorgeous!